How Fast Are You Moving When You Are Sitting Still? I came across the following graphic which made we wonder how fast are we really moving while standing still. In my search, I came across this article. When, after a long day of running around, you finally find the time to relax in your favorite armchair, nothing seems easier than just sitting still. But have you ever considered how fast you are really moving when it seems you are not moving at all? When we are on a smoothly riding train, we sometimes get the illusion that the train is standing still and the trees or buildings are moving backwards. In the same way, because we “ride” with the spinning Earth, it appears to us that the Sun and the stars are the ones doing the moving as day and night alternate. But actually, it is our planet that turns on its axis once a day — and all of us who live on the Earth’s surface are moving with it. How fast do we turn? 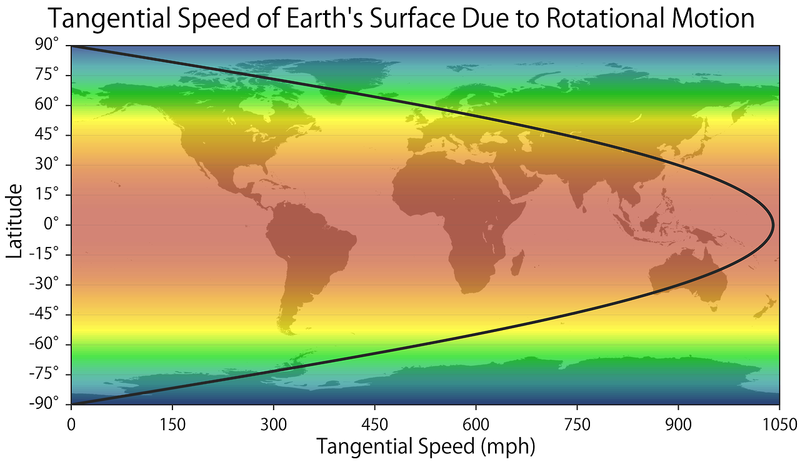 To make one complete rotation in 24 hours, a point near the equator of the Earth must move at close to 1000 miles per hour (1600 km/hr). The speed gets less as you move north, but it’s still a good clip throughout the United States. Because gravity holds us tight to the surface of our planet, we move with the Earth and don’t notice its rotation in everyday life. The great circular streams of water in our oceans and of air in our atmosphere give dramatic testimony to the turning of the Earth. 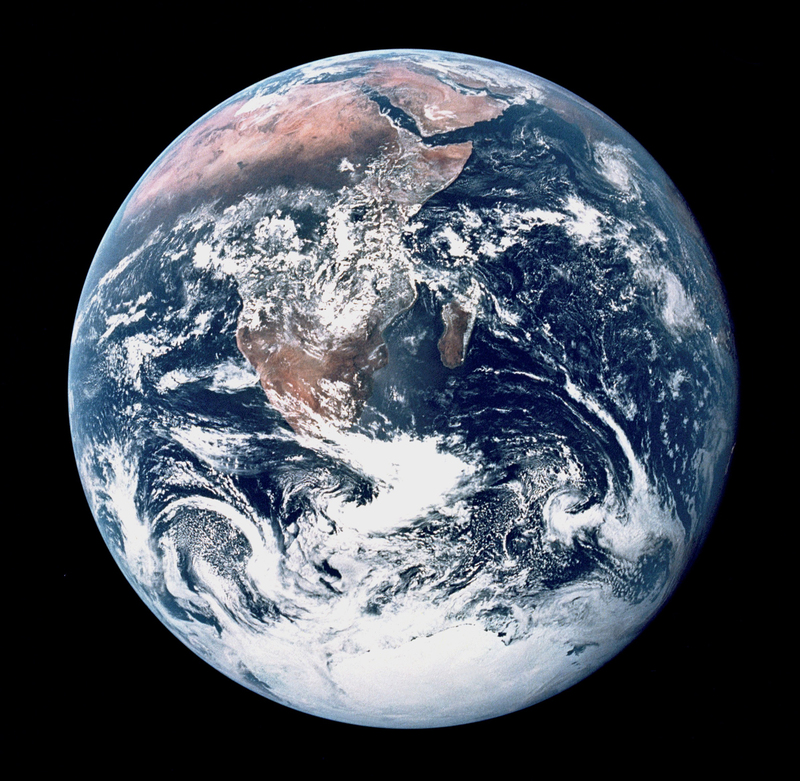 As the Earth turns, with faster motion at the equator and slower motion near the poles, great wheels of water and air circulate in the northern and southern hemisphere. For example, the Gulf Stream, which carries warm water from the Gulf of Mexico all the way to Great Britain, and makes England warmer and wetter than it otherwise would be, is part of the great wheel of water in the North Atlantic Ocean. The wheel (or gyre) that the Gulf Stream is part of contains more water than all the rivers of the world put together. It is circulated by the energy of our turning planet. In addition to spinning on its axis, the Earth also revolves around the Sun. 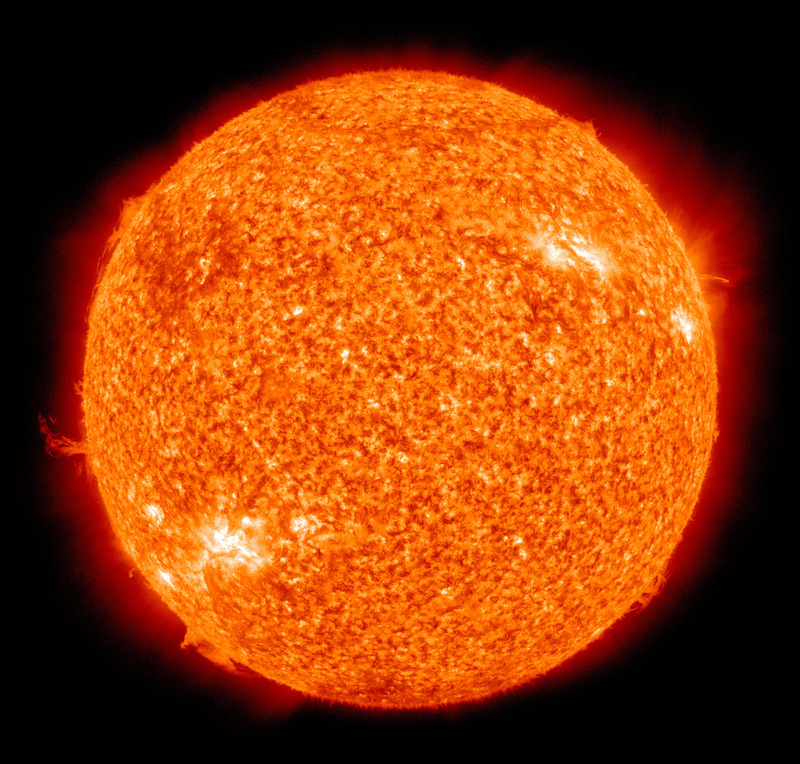 We are approximately 93 million miles (150 million km) from the Sun, and at that distance, it takes us one year (365 days) to go around once. The full path of the Earth’s orbit is close to 600 million miles (970 million km). To go around this immense circle in one year takes a speed of 66,000 miles per hour (107,000 km/hr). At this speed, you could get from San Francisco to Washington DC in 3 minutes. As they say on TV, please don’t try going this fast without serious adult supervision. Our Sun is just one star among several hundred billion others that together make up the Milky Way Galaxy. This is our immense “island of stars” and within it, each star is itself moving. Any planet orbiting a star will share its motion through the Galaxy with it. Stars, as we shall see, can be moving in a random way, just “milling about” in their neighborhoods, and also in organized ways, moving around the center of the Galaxy. If we want to describe the motion of a star like our Sun among all the other stars, we run up against a problem. We usually define motion by comparing the moving object to something at rest. A car moves at 60 miles per hour relative to a reference post attached to the Earth, such as the highway sign, for example. But if all the stars in the Galaxy are moving, what could be the “reference post” to which we can compare its motion? Relative to the local standard of rest, our Sun and the Earth are moving at about 43,000 miles per hour (70,000 km/hr) roughly in the direction of the bright star Vega in the constellation of Lyra. This speed is not unusual for the stars around us and is our “milling around” speed in our suburban part of the Galaxy. In addition to the individual motions of the stars within it, the entire Galaxy is in spinning motion like an enormous pinwheel. Although the details of the Galaxy’s spin are complicated (stars at different distances move at different speeds), we can focus on the speed of the Sun around the center of the Milky Way Galaxy. It takes our Sun approximately 225 million years to make the trip around our Galaxy. This is sometimes called our “galactic year”. Since the Sun and the Earth first formed, about 20 galactic years have passed; we have been around the Galaxy 20 times. On the other hand, in all of recorded human history, we have barely moved in our long path around the Milky Way. As we discussed the different speeds of our planet so far, we always needed to ask, “Compared to what are you measuring this motion?” In your armchair, your motion compared to the walls of your room is zero. Your motion compared to the Moon or the Sun, on the other hand, is quite large. When we talk about your speed going around the Galaxy, we measure it relative to the center of the Milky Way. Now we want to finish up by looking at the motion of the entire Milky Way Galaxy through space. What can we compare its motion to — what is the right frame of reference? For a long time, astronomers were not sure how to answer this question. We could measure the motion of the Milky Way relative to a neighbor galaxy, but this galaxy is also moving. The universe is filled with great islands of stars (just like the Milky Way) and each of them is moving in its own way. No galaxy is sitting still! But then, a surprising discovery in the 1960s showed us a new way to think of our galaxy’s motion. 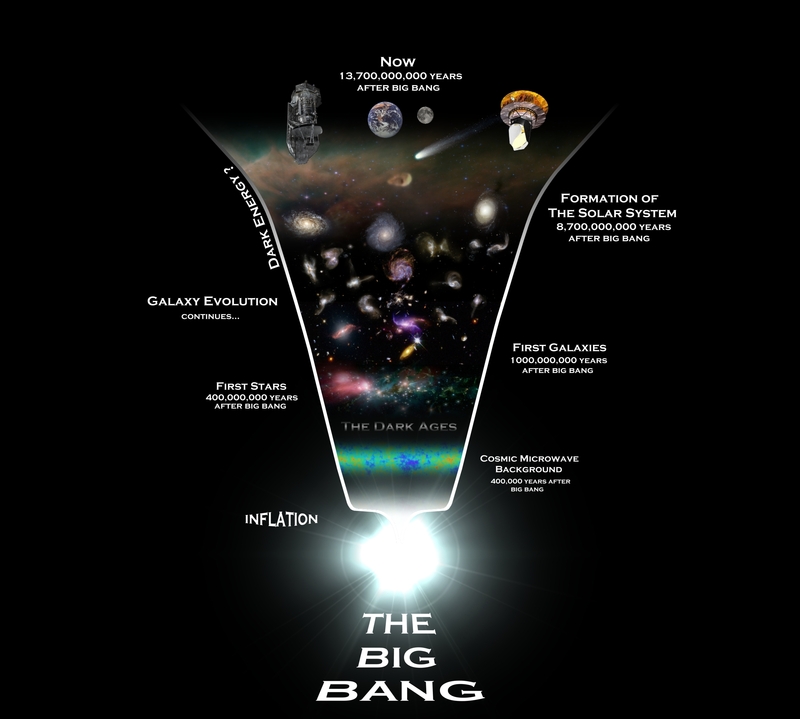 To understand this new development, we have to think a little bit about the Big Bang, the enormous explosion that was the beginning of space, time, and the whole universe. Right after the Big Bang, the universe was full of energy and very, very hot. In fact, for the first few minutes, the entire universe was hotter than the center of our Sun. It was an unimaginable maelstrom of energy and subatomic particles, slowly cooling and sorting itself out into the universe we know today. At that early time, the energy in the universe was in the form of gamma rays, waves of energy like the visible light we see, but composed of much shorter waves with higher energy. Today on Earth, it takes a nuclear bomb to produce significant amounts of gamma rays. But then, the whole universe was filled with them. You can think of these gamma-rays as the “flash” of the Big Bang — just like fireworks or a bomb can produce a flash of light, the Big Bang resulted in a flash of gamma rays. But these gamma rays were everywhere in the universe. 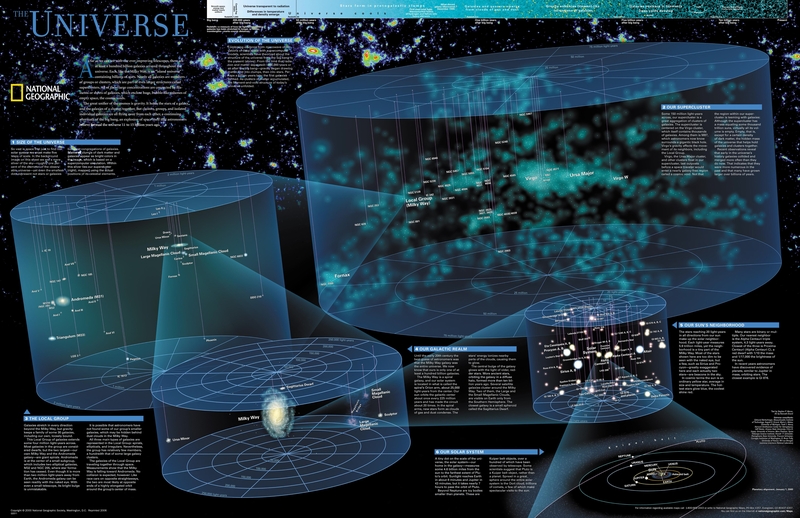 They filled all of space, and as the universe grew (expanded), the gamma rays expanded with it. When people first think about the expansion of the universe, they naturally think of other expansions they have experience with: how the American colonies eventually expanded to become the 48 states of the U.S. or how an exploding bomb might throw shrapnel in every direction. In these situations, the space into which the colonies or the shrapnel is expanding already exists. But the expansion of the universe is not like any other expansion. When the universe expands, it is space itself that is stretching. The galaxies in the universe are moving apart because space stretches and creates more distance between them. Today, some 12 to 15 billion years after the Big Bang, there has been a lot of stretching. Space has expanded quite a bit. The flash of the Big Bang has stretched until it is now much longer, lower energy waves — microwaves and other radio waves. But the waves have stretched with the space they occupy, and so they still fill the universe, just the way they did at the time of creation. 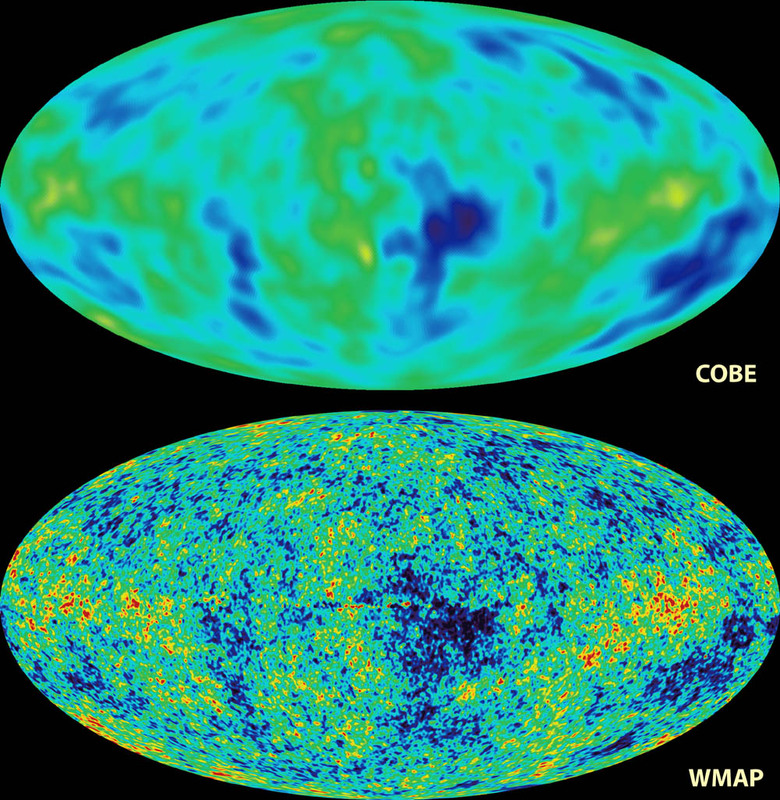 Astronomers call the collection of all these stretched waves the cosmic background radiation or CBR. Physicists back in the late 1940’s predicted that there should be such a background, but since no one had the equipment to find it, the prediction was forgotten. Then, in the mid 1960s, two scientists working for Bell Laboratories, Arno Penzias and Robert Wilson, accidentally discovered the CBR while helping to get communications satellite technology going for the phone company. After astronomers used other telescopes and rockets in orbit to confirm that the radio waves the two scientists had discovered were really coming from all over space, Penzias and Wilson received the Nobel Prize in physics for having found the most direct evidence for the Big Bang. Put another way, the CBR provides a “frame of reference” for the universe at large, relative to which we can measure our motion. 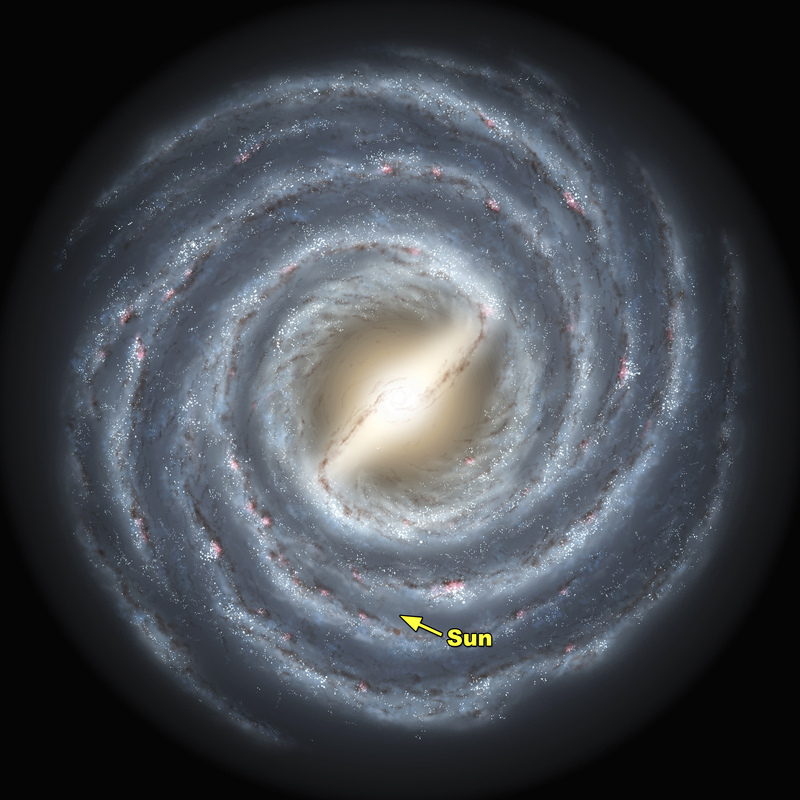 From the motion we measure compared to the CBR, we need to subtract out the motion of the Earth around the Sun and the Sun around the center of the Milky Way. The motion that’s left must be the particular motion of our Galaxy through the universe! And how fast is the Milky Way Galaxy moving? The speed turns out to be an astounding 1.3 million miles per hour (2.1 million km/hr)! We are moving roughly in the direction on the sky that is defined by the constellations of Leo and Virgo. Although the reasons for this motion are not fully understood, astronomers believe that there is a huge concentration of matter in this direction. Some people call it The Great Attractor, although we now know that the pull is probably not due to one group of galaxies but many. Still the extra gravity in this direction pulls the Milky Way (and many neighbor galaxies) in that direction. Can you guess who said the following and where it’s from? Do you know like we were sayin’? About the Earth revolving? It’s like when you’re a kid. The first time they tell you that the world’s turning and you just can’t quite believe it ’cause everything looks like it’s standin’ still. I can feel it. The turn of the Earth. The ground beneath our feet is spinnin’ at 1,000 miles an hour and the entire planet is hurtling around the sun at 67,000 miles an hour, and I can feel it. We’re fallin’ through space, you and me, clinging to the skin of this tiny little world, and if we let go… That’s who I am.